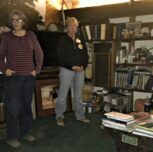 Picturesque Sea Horse Ranch offers Horse Boarding and Training in a congenial setting with enthusiastic, supportive horse lovers at all levels of ability. Board your horse with confidence, full service horse boarding facility owned and managed by Grand Prix Dressage rider Barbi Breen-Gurley. Within a short ride from the ranch you can enjoy the beautiful trails at the beach and throughout Montaña de Oro State Park. 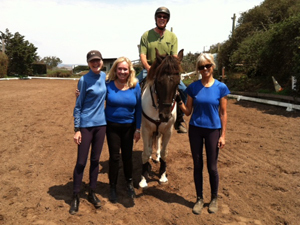 Participate in the friendly, learning atmosphere at Sea Horse Ranch, with training tailored to the horse and rider. Additionally, we hold schooling shows, competition clinics, quadrille and host international clinicians. 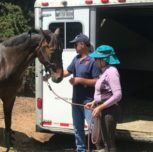 With long and short term horse boarding, we offer a convenient starting point to the many miles of riding trails along the ocean and bay beaches, as well as Montaña de Oro State Park (10,000 acres of open space to explore!). We have large paddocks with shelters (approximately 32′×48′ and 24′×24′) and stalls with paddocks. Top quality hay is fed twice a day, and paddocks are cleaned seven days a week. 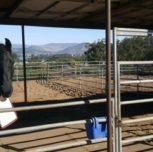 Resident stable help are always available to meet the needs of your horse(s). In addition, we offer blanketing and turnout services as an option. 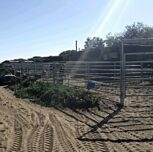 Please give us a call or come by to visit to see all that Sea Horse Ranch has to offer! Come board at Sea Horse Ranch and lodge at nearby lovely hotels on the central California coastline on your next vacation or holiday. 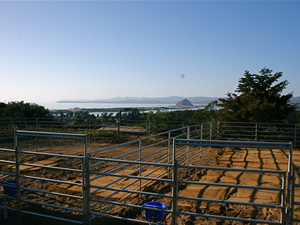 Sea Horse Ranch in Los Osos, San Luis Obispo County is located on a hillside overlooking the beautiful Morro Rock and Morro Bay. 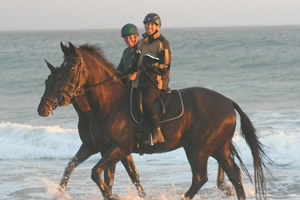 Plan an unforgettable horse holiday soon! It offers spectacular views of the ocean and the mountain peaks of the Nine Sisters of San Luis Obispo County. The ranch itself is nestled within century-old oak trees and Manzanita creating a quaint, rustic atmosphere. Sorry, we have limited space available for self-contained campers.